More Granola in Honey Bunches of Oats + Givin’ Some Away Free!Ends 5/25 . Welcome to the New Espacularaiesa Blog Site! 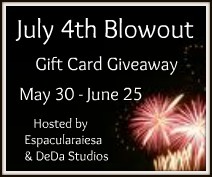 And a Subscriber Giveaway!Ends 5/29 . deVine Natural Artisian Water Review and Giveaway! I love reading blogs and have decided to move the ones I usually list here to a page dedicated to them. Just click the 'Blogs I Stalk' tab at the top to see who I follow!